Home » Job Fairs » Portsmouth Jobs Fair – 600 Job Vacancies on Offer! Portsmouth Jobs Fair – 600 Job Vacancies on Offer! Portsmouth careers and jobs fair will take place at the Cascades Shopping Centre in Portsmouth, Hampshire on Thursday, 22nd September, 2011. The fair will start at 10 am and finishes at 4.30 pm. 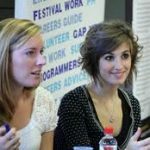 You will also benefit from free careers advice about writing a CV, job search tecniques and how to apply for a job in an appropriate and formal way. Unemployment rates are pretty high in Portsmouth so this job fair should reduce the percentage a little bit! Learnist.org suggests you take copies of your CV and proof of identity in case you apply for job vacancies.